For the first time since 1981 NASA test flew a new vehicle designed to carry astronauts into space. The unmanned Exploration Flight Test 1 mission, the maiden flight of NASA’s Orion spacecraft, launched during the second launch attempt atop a Delta IV rocket from Cape Canaveral, prior to a successful splashdown in the Pacific Ocean. The mission involved Orion making two orbits of the planet during a four and a half hour mission that ended with the spacecraft’s recovery in the Pacific Ocean. Reaching a maximum altitude of 5,790 kilometres the mission tested separation mechanisms, demonstrated Orion’s Crew Module in orbit and proved that the spacecraft can withstand atmospheric reentry and be recovered successfully. Over three years after Space Shuttle Atlantis touched down at the end of STS-135, The launch was a major milestone for NASA as it works to reestablish America’s manned space program. The EFT-1 mission allows key systems on the Orion spacecraft to be tested years before it would have otherwise been able to fly. Orion is designed to carry up to four astronauts into space and return them safely to Earth. 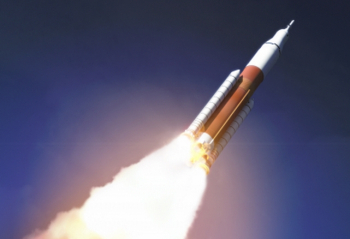 When operational it will ride NASA’s Space Launch System (SLS) into orbit. This rocket, which is expected to debut no earlier than 2018, will consist of a core stage powered by four RS-25 engines, an RL10-powered second stage and a pair of five-segment solid rocket motors derived from the solids used by the Space Shuttle. With the SLS still under development, Orion will be carried into orbit by United Launch Alliance’s Delta IV Heavy. The largest and most powerful rocket currently flying, the Delta IV Heavy was developed by Boeing as a replacement for the Titan IV which the US Air Force used for its largest payloads throughout the 1990s and early 2000s. It is one of five configurations that the Delta IV can fly in, with the smaller Medium, Medium+(4,2), Medium+(5,2) and Medium+(5,4) variants used for the majority of payloads. The launch marks the first time the Delta IV Heavy has been used for a primarily civilian launch, with all of its previous flights being conducted for the US Air Force or National Reconnaissance Office. 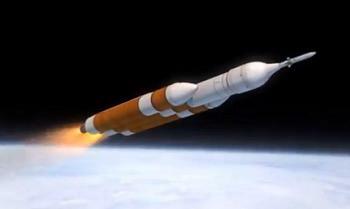 One of two rockets developed for the US Air Force’s Evolved Expendable Launch Vehicle (EELV) program, the Delta IV competes against its stablemate, the Atlas V, for US Government payloads. 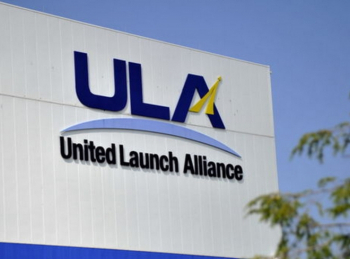 The Atlas was originally developed by Lockheed Martin in competition with Boeing’s Delta, however in 2006 the companies agreed to merge their rocket manufacturing and launch business and United Launch Alliance (ULA) was formed on 1 December. The company conducted its first launch two weeks later when a Delta II lofted the ill-fated NROL-21 mission for the National Reconnaissance Office. 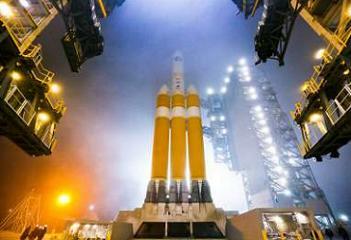 The launch is the ninetieth to be conducted by ULA. Originally conceived as the Crew Exploration Vehicle for NASA’s Constellation program, Orion was designed for use in low Earth orbit, including visits to the International Space Station, as well as for missions to “the Moon, Mars and beyond”. Launching atop the Ares I rocket, Orion would have been able to conduct Earth orbit missions directly or rendezvous with an Earth Departure Stage and mission-specific payloads, such as the Altair lunar lander, launched by the larger Ares V rocket for missions further afield. Constellation was cancelled in 2010, along with the Ares rockets and Altair, however Orion survived as the Multi Purpose Crew Vehicle, or MPCV, which will be used primarily for missions beyond Earth orbit. The spacecraft consists of a Crew Module built by Lockheed Martin, paired with a European Service Module built by Airbus and based on the Automated Transfer Vehicle. For the EFT-1 mission a live Crew Module is flying, however the Service Module is a mockup which will remain attached to the carrier rocket. The third part of the spacecraft is the Launch Abort System (LAS), which is designed to carry the Crew Module clear in the event of a launch failure. This will be partially functional for EFT-1; it will be able to separate under its own power however it will not be used in the event of an anomaly during the launch. The EFT-1 launch took place from Space Launch Complex 37B (SLC-37B) at the Cape Canaveral Air Force Station. It is the same pad from which the Saturn rocket made its first orbital launch in January 1964, with a Saturn I carrying the nose of a Jupiter missile into low Earth orbit. During the early years of the Apollo program pad 37B supported six Saturn I and two Saturn IB launches, including all orbital launches prior to Apollo 7 which did not make use of the larger Saturn V.
Launch Complex 37 was originally built with two pads, 37A and B, however LC-37A was never used for a launch. 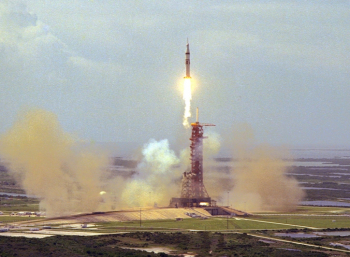 The final Saturn launch from Launch Complex 37 took place on 22 January 1968, with a Saturn IB launching Apollo 5, the first unmanned test of the Apollo Lunar Module in Earth orbit. Manned Saturn IB launches were to be conducted from Launch Complex 34, so after Apollo 5 LC-37 was mothballed. It was expected that the complex would again be required once the initial Lunar landings had been completed and NASA resumed Earth orbit missions. The Apollo Applications program would have seen an ambitious series of low orbit missions, however the development of the Space Shuttle saw it massively scaled back and in the end only the Skylab space station and Apollo-Soyuz docking were attempted. To reduce the costs of these missions NASA opted to convert a Saturn V Mobile Launcher and fly the Saturn IB from Launch Complex 39 rather than reactivate the Saturn IB pads. With no further use planned, many of the structures at LC-37 were demolished during the 1970s with the remainder of the pad being abandoned in place. The complex remained abandoned until its selection for the Delta IV, with development work for the new pad beginning in the late 1990s. The modern Space Launch Complex 37 consists of just the one pad, 37B, which is located about fifty metres south of where the original LC-37B once stood. At Launch Complex 37B, the Delta IV uses a combination of off-pad horizontal and on-pad vertical assembly. The liquid boosters, first stage and second stage are mated in the Horizontal Integration Facility (HIF) a kilometre away from the pad. The rocket is then rolled to the complex and erected inside the mobile service tower (MST). This tower is then used to stack the payload to the rocket, and when the Delta IV is flying in the Medium+ configurations it is also used to attach solid rocket motors at the base of the first stage. 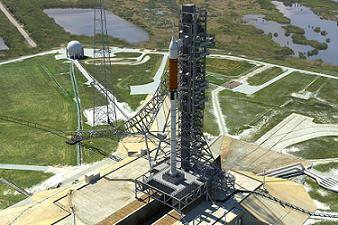 The Delta IV which will launch EFT-1 is Delta 369, and will be flying in the Delta IV Heavy configuration. The rocket’s Delta number, 369, indicates that it is the 369th launch to be counted as a Delta mission. This count began with the first Thor-Delta launch in 1960 and has continued throughout the Delta program through to the modern Delta IV, despite it bearing no resemblance to the Thor-Delta derived vehicles used for most of the rocket’s history. The count does not include Delta rockets produced under license in Japan, where it was operated as the N-I and N-II, nor does it include some suborbital launches in the 1960s. The Delta IV is a two-stage rocket, consisting of a Common Booster Core (CBC) first stage with a Delta Cryogenic Second Stage (DCSS) atop it. Both stages are cryogenically fuelled, burning liquid hydrogen oxidised by liquid oxygen. Each Common Booster Core is powered by a single Aerojet Rocketdyne RS-68 engine. In the Heavy configuration two additional CBCs are attached to the first stage CBC in order to provide a significant increase in thrust at liftoff. The inboard core will be throttled down during the early stages of flight to extend its burn time, with the outboard cores separating around a minute and a half before the end of powered flight. The DCSS has a single RL10B-2 engine. 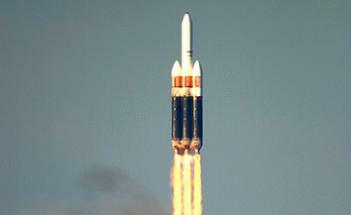 The Delta IV made its maiden flight in November 2002, flying in the Medium+(4,2) configuration to deliver Eutelsat’s W5 satellite (since renamed Eutelsat 33B) into geosynchronous transfer orbit. The next launch, in March 2003, used the Medium configuration marking the first time that a rocket powered only by cryogenic propellants had achieved orbit. The Heavy configuration’s first flight, which took place in December 2004, is to date the only time the Delta IV has experienced a launch failure. Cavitations in the rocket’s oxygen lines resulted in both boosters and the first stage cutting out earlier than had been planned. The upper stage burned to depletion in an attempt to compensate for this underperformance but was unable to achieve the near-geostationary orbit which had been planned before launch, falling around 15,000 kilometres (9,300 miles, 8,100 nautical miles) short at perigee with a 3.5 degree error in inclination. The primary payload, HLV-OLSDP, was an instrumented mass simulator intended to gather data on the Delta’s performance and demonstrate the rocket’s ability to place a satellite into geosynchronous orbit without risking a real satellite on the then-untested vehicle. The launch also carried a pair of small satellites, Sparky and Ralphie, to be deployed into a low Earth orbit during the flight’s first coast phase. The first stage problem resulted in this orbit being even lower than had been expected and both satellites’ orbits decayed before communications could be established with them. Following three successful Medium and Medium+ launches in 2006, the Delta IV Heavy returned to flight in November 2007 when it carried the final Defense Support Program (DSP) satellite into orbit. The DSP F-23 satellite, also known as USA-197, was a leftover payload from the Titan era which was intended to be used for missile detection from geosynchronous orbit. Despite a successful launch, the spacecraft failed within its first year of operations. EFT-1 is not the first spacecraft called Orion to launch aboard a Delta IV Heavy; the same name has been given to a series of signals intelligence satellites operated by the NRO. 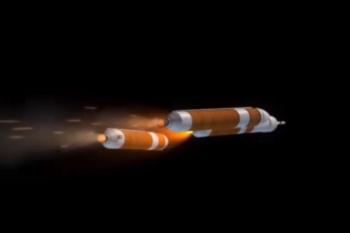 Three Delta IV launches have carried Orion satellites, NROL-26, NROL-32 and NROL-15, into geostationary orbit. Two further NRO payloads have been launched by the Heavy in missions from Vandenberg Air Force Base in California; these payloads, identified by observers as KH-11 optical imaging reconnaissance satellites, were placed into near-polar sun-synchronous orbits. The majority of payloads carried by the Delta IV have been military; other than EFT-1 and Eutelsat W5, the only civilian missions it has carried have been a trio of weather satellites for the National Oceanic and Atmospheric Administration. These spacecraft, GOES 13, 14 and 15, were originally intended to be launched by the Delta III but its development was abandoned after the first two launches failed and the third fell short of its planned orbit. Instead Boeing agreed to carry the spacecraft on the Delta IV, with launches taking place in May 2006, June 2009 and March 2010. Ahead of the EFT-1 launch, Orion’s Crew and Service Modules were stacked in NASA’s Operations and Checkout building in early September. Once integration was complete the spacecraft was transported to the Payload Hazardous Servicing Facility for fuelling and subsequently the Launch Abort System Facility where the launch escape system was fitted around the capsule. Having been assembled in the Horizontal Integration Facility (HIF) at Space Launch Complex 37, the Delta IV was rolled out and erected on its pad on 29 September. Following the Delta IV’s Wet Dress Rehearsal (WDR) on 5 November, Orion was transported to the pad on 12 November before being craned atop the rocket later the same day. The countdown for the launch began ten hours before the window opens, with the start of ULA countdown operations. Retraction of the Mobile Service Tower from around the rocket for the attempt began at around 04:05 UTC (23:05 local time), with the Launch Operations, Orion Engineering and Management teams due on station at around the same time. Around six hours before the launch attempt, Orion was powered up in preparation for her mission, while ULA personnel began to vacate the launch pad ahead of fuelling operations. Four hours and thirty eight minutes before liftoff the countdown entered the first of two planned built-in holds, the T-4 hour, 15 minute hold. Lasting eight minutes, the hold was used to conduct a poll of the Orion flight control teams ahead of the Delta IV being fuelled, while ULA’s launch team undertook a briefing before conducting their own poll. Propellant loading began when the countdown resumed. 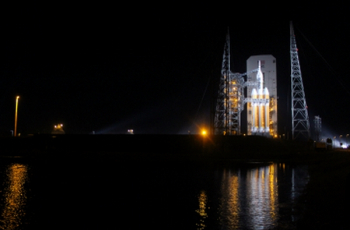 Orion’s heading alignment will be updated an hour and a half before liftoff. Nineteen minutes before launch, with the countdown clocks showing T-4 minutes, the countdown will enter its second and final planned hold. 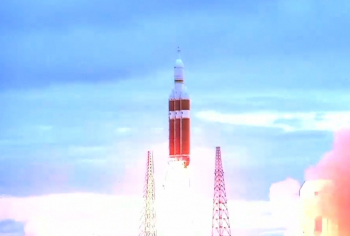 During the fifteen minute hold, Orion will be transferred onto internal power at around nine minutes before launch. Following this ULA and NASA will conduct final polls to ensure readiness to launch. During Thursday’s attempt, as the hold was released, a boat was spotted in the Eastern Range, extending the hold as attempts are made to clear the obstruction to the launch. The launch also suffered another two holds at around T-3:30, due to a ground winds violation, before a Fuel and Drain valve caused another hold – which resulted in the bulk of the troubleshooting. A scrub was called just ahead of picking up the count of what would have been an attempt at the end of the available launch window, with the next attempt set for 24 hours time. With Friday’s countdown going to plan, the attempt proceeded to five seconds before launch, where the three RS-68 engines powering the first stage and boosters ignited. Liftoff took place at T-0, when the thrust generated by the vehicle exceeded its weight, and the rocket began its ascent towards orbit. Thirteen seconds into flight Delta 369 conducted a yaw and pitch manoeuvre to establish the planned launch azimuth of 95 degrees. 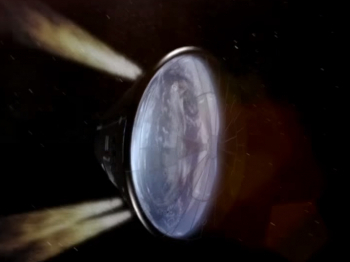 Around fifty seconds after launch the inboard core’s engine was throttled down to partial thrust. The vehicle passed through the sound barrier at one minute, 22.2 seconds mission elapsed time, experiencing maximum dynamic pressure – max-Q – at the same time. About three minutes and forty eight seconds after launch the strap-on boosters began to throttle down, with separation occurring at the three minute, fifty-eight second mark. After the boosters separated, the core stage was throttled back up, remaining at full power until a few seconds before the end of its burn. First stage flight concluded with main engine cutoff, or MECO, 92.6 seconds after booster separation. The spent first stage was jettisoned a little over seven seconds after MECO, with the second stage’s RL10 extending its nozzle and beginning its prestart sequence. The RL10 ignited thirteen seconds after stage separation to begin the first of three planned burns. Early in second stage flight, about twenty five seconds after ignition, the protective fairing separated from around Orion’s Service Module followed five seconds later by the Launch Abort System separating from the nose of the spacecraft. Lasting eleven minutes and 26.1 seconds, the first burn of Delta 369’s second stage established a 185 by 888 kilometre (115 by 552 mile, 100 by 479 nautical mile) parking orbit. With the burn complete EFT-1 entered a coast phase lasting one hour, 38 minutes and 3.4 seconds. Commencing at one hour, fifty five minutes and 20.5 seconds elapsed time, the second burn had a duration of four minutes and forty two seconds. The final powered phase of Orion’s mission, the burn raised the apogee of the spacecraft’s trajectory while sufficiently lowering its perigee to deorbit it. At the end of the burn Orion was on an Earth-intersecting trajectory with an apogee of 5,790.0 kilometres (3,597.8 miles, 3,126.4 nautical miles), a perigee 29.8 kilometres (18.5 miles, 16.1 nautical miles) below the Earth’s surface, and inclination to the equator of 28.8 degrees. 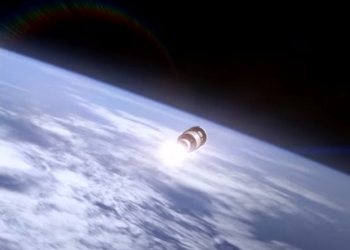 For the coast to apogee, Orion remained attached to the Delta IV’s second stage. Around five minutes into the coast phase the vehicle entered a high-intensity region of the lower Van Allen radiation belt, which took around fifteen minutes to clear. During this time instruments aboard the spacecraft, including cameras, were deactivated to reduce the chance of damage being sustained. No negative impacts were noted. Orion’s Reaction Control System was activated during the coast, at about two hours and forty minutes elapsed time. Around the three hour and five minute mark into the mission, Orion reached apogee, the farthest point from the Earth on its trajectory. Three hours and nine minutes after launch the Delta IV reoriented itself for spacecraft separation, with Orion separating at three hours, twenty three minutes and forty one seconds mission elapsed time. The spacecraft passed back through the high-intensity region of the inner Van Allen belt at around the three and a half hour mark in the mission, this time taking thirty five minutes to pass through. 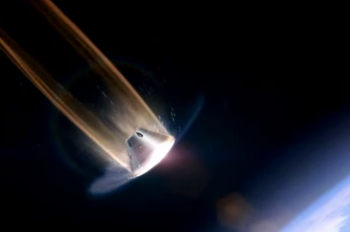 While it was in the radiation belt, Orion conducted a ten second burn of its thrusters to adjust its course for reentry. This burn occurred three hours, fifty seven minutes and eleven seconds into the mission. After Orion separated, the Delta IV second stage performed a third and final burn to position itself clear of its payload’s operations. This disposal burn lasted one minute, with ignition scheduled for three and three quarter hours after liftoff. As a result of making this burn, the upper stage reentered the atmosphere ahead of Orion, at around four hours, 11 minutes and five seconds MET. The DCSS was destroyed when it enters the atmosphere. Entry interface for Orion occurred at a mission elapsed time of four hours, thirteen minutes and thirty five seconds, with the spacecraft travelling at 8.9 kilometres per second (32,000 kph, 20,000 mph). Six seconds after interface, the spacecraft began to experience an expected two-minute, 24-second communications blackout due to the effects of reentry. The spacecraft experienced maximum heating of around 2,200 degrees Celsius (4,000 degrees Fahrenheit) about one minute and twenty eight seconds after interface – initiating the key test relating to the spacecraft’s heat shield. Following the reestablishment of communications, Orion continued to descend through the atmosphere. Five minutes and fifty four seconds after interface the spacecraft is jettisoned its forward bay cover, which protects the nose of the spacecraft from reentry. 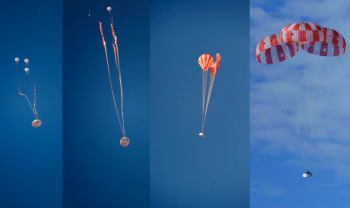 Two seconds after the cover is released, Orion’s two drogue parachutes were deployed. The main parachutes deployed sixty nine seconds after the drogues, with splashdown occurring two minutes and forty nine seconds later, at four hours, twenty three minutes and twenty nine seconds mission elapsed time. Orion splashed down in the Pacific Ocean, approximately 1,000 kilometres (600 miles) off the coast of California. 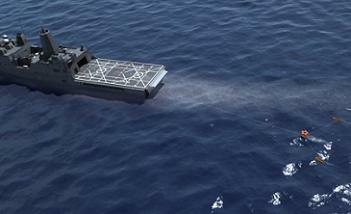 The US Navy positioned two ships in the landing area to recover Orion after its mission. Divers secured the spacecraft, attaching a flotation collar, tethers and an anchor. The USS Anchorage, a San Antonio class amphibious transport ship, was then used to transport Orion back to port using its amphibious well deck. The USNS Salvor, a Safeguard class salvage ship, was used to collect the parachutes – as much as at least two of the main chutes could not be recovered – and other hardware designed to separate from the capsule, a lot of which was also deemed as lost. 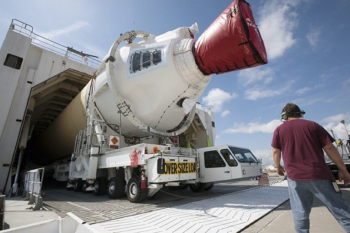 Following its mission the Orion spacecraft will be refurbished for use in a launch abort test. The launch of EFT-1 marked the seventy ninth orbital launch of 2014 and the twenty second to be made by the United States. It is the last of five Delta and four Delta IV launches this year, the older Delta II having made a single flight. For United Launch Alliance it is the penultimate mission of the year, with an Atlas launch from Vandenberg, carrying an NRO satellite, scheduled to close their year next week. 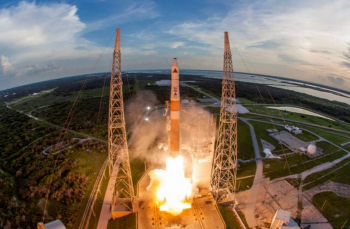 Earlier Delta IV launches this year deployed Global Positioning System (GPS) navigation satellites in February and May, and the AFSPC-4 mission, consisting of two GSSAP space surveillance satellites and the ANGELS technology experiment, in July. The Delta II’s lone mission, also in July, deployed NASA’s Orbiting Carbon Observatory 2 (OCO-2) climate research satellite. The Delta IV will next be in action in March, when a Delta IV Medium+(4,2) will orbit a Global Positioning System navigation satellite in the first of four missions planned next year. Before then a Delta II will launch in late January with NASA’s Soil Moisture Active/Passive (SMAP) mission. Orion’s next mission is not expected until the SLS makes its debut in 2018. Riding the maiden flight of the Space Launch System, Orion will conduct Exploration Mission 1, a longer-duration test flight with a fully-functional service module. This mission is currently pencilled in as a circumlunar flight. (Images: Via Nate Moeller (NASASpaceFlight.com/Astro95 Media) ULA, NASA, US Navy, Lockheed Martin, L2 Historical, L2 SLS/Orion – and L2 Artist Nathan Koga). (L2 is – as it has been for the past eight years – providing full exclusive future vehicle coverage, available no where else on the internet.